Now the labor cost during the production process in increasing day by day, so we devote ourselves for the automated material handling solution. 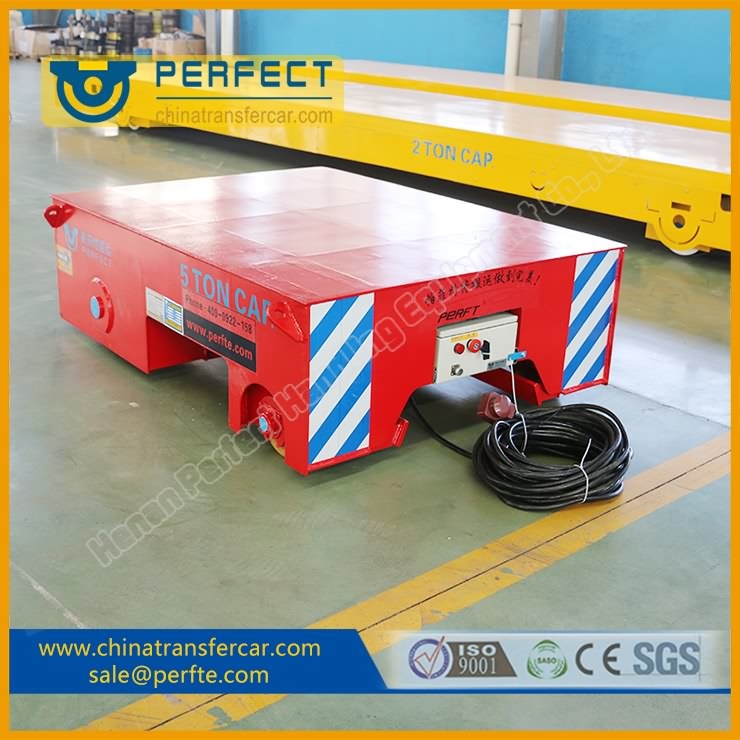 Yet we find that for the heavy load transportation, it is not easy for automation, as we call it AGV, namely Automated Guided Vehicle, and it is very expensive. In order to make it more reliable and cheap, we find that the RGV-rail guide vehicle will also do the job. As you see in the picture, the trolley is supposed to handling 50 tons transformer in the product line. And it needs to stop at four points automatically. In this case, we used one transfer car equipped with PLC and sensors. After the programming, we set the car at automatic operation. So the car will move from point 1 to point 2, then the car will stop at point 2 automatically. After the job at point 2 is done, the car will get a signal, and the car will move to point 3, and after the same process, the car will move to point 4. After the job is done, the car will move back to the original position, point 1. And we call it one working cycle. And the below working condition is like, the most simple, we can also give the car more complex job and orders, only we set the program in advance. This system will work as AGV but with much lower expense.